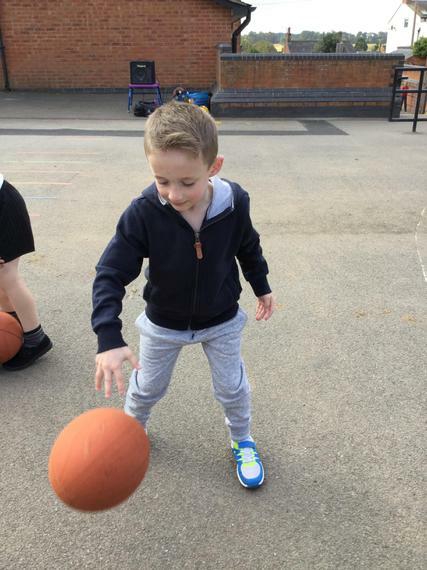 Welcome to Year 1's Class Webpage! 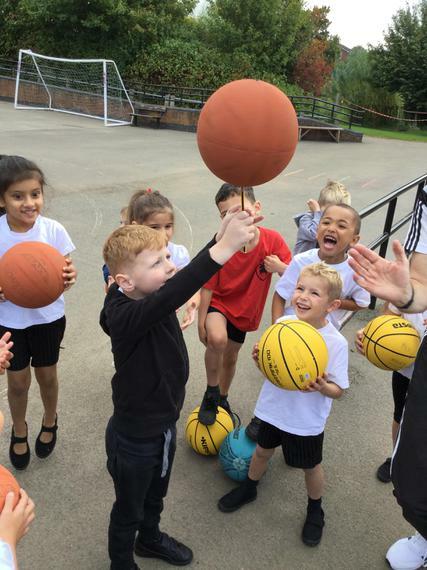 On our page you will find a variety of things that we have done over the year, across all areas of learning. The newest posts will be published at the top so please make sure you scroll down so you don't miss a thing! 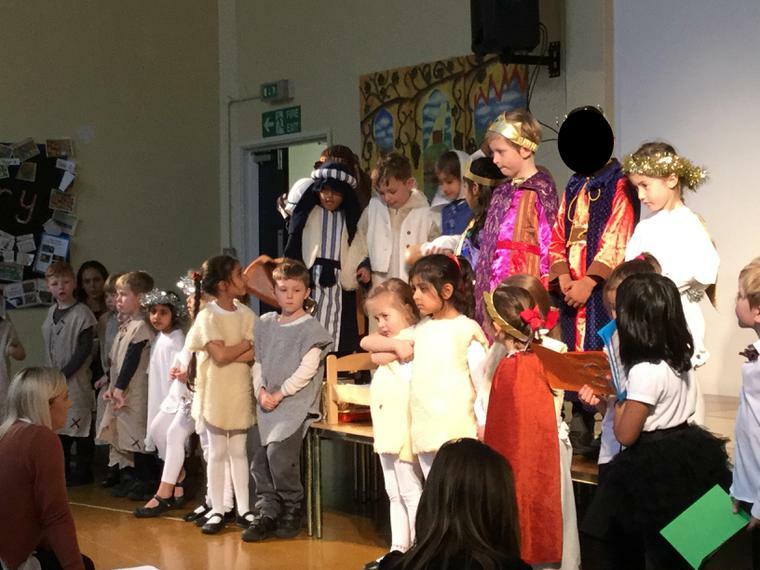 We hope you enjoy looking at Year 1! 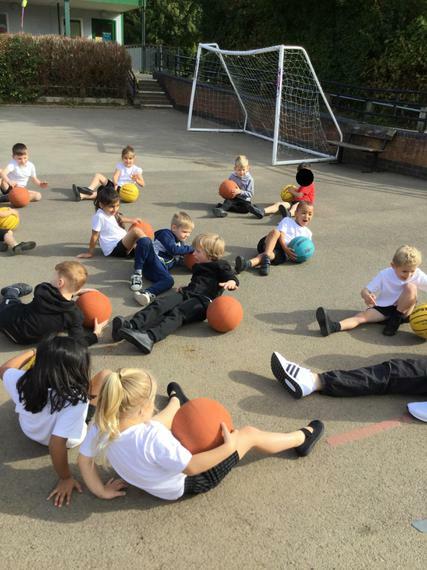 Monday and Tuesday – These are our PE days. 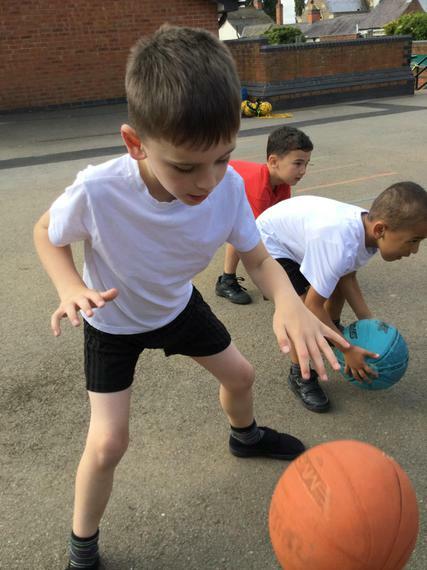 Children will need their PE kit in school (both indoor and outdoor). Please ensure clothing is labelled with a name and jewellery is taken off including earrings and necklaces. Wednesday – Hand in date for homework. Thursday – Spelling tests will take place on this day, in the afternoon. 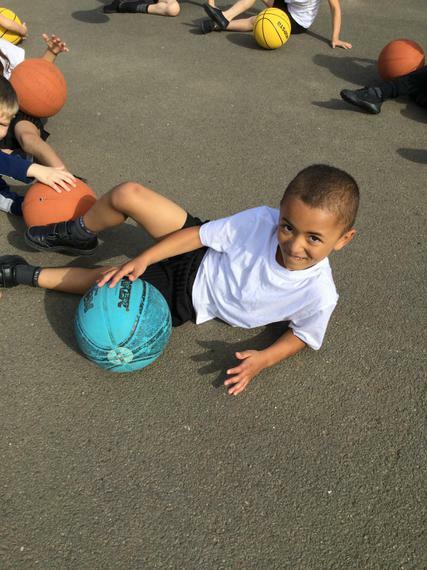 Children can practise their spellings in a variety of ways such as look, cover, write, repeating the words, using a rhyme for each letter of the word, finding common words in the word that they already know and can see, segmenting the word or breaking it down into syllables. 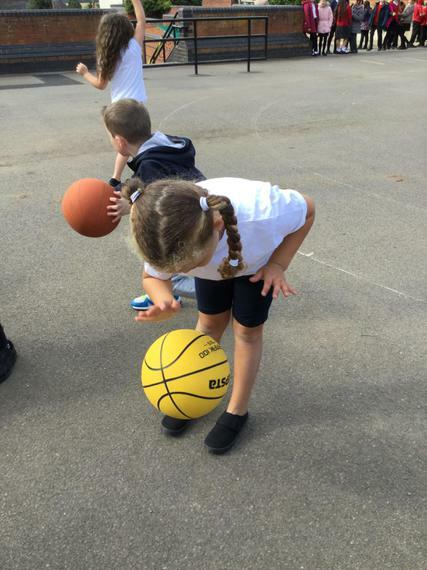 Friday – New homework and spellings are handed out. Today was the day we have all been waiting for. 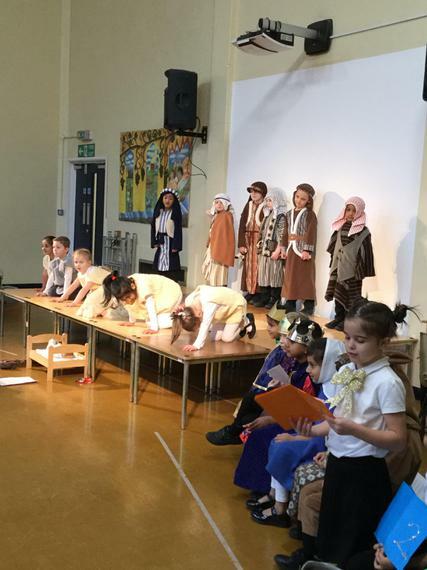 There were many nerves in the classroom but also lots of excitement. 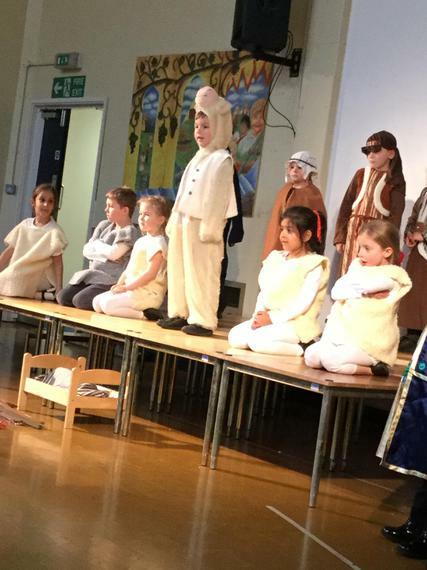 After weeks of practice, practice, practice the children gave a fantastic performance of our production 'Hey Ewe'. 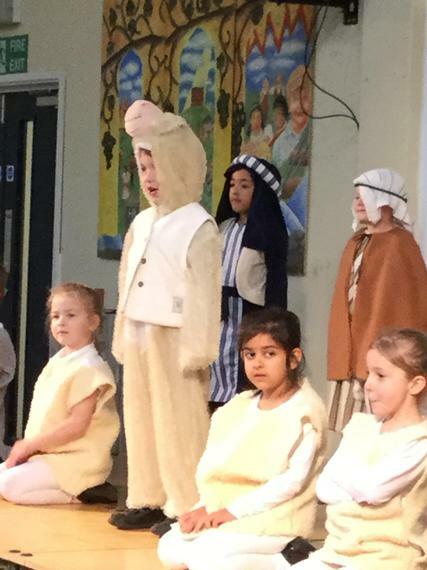 Everyone who watched loved our performance and the children all felt very proud of themselves. There were smiles all around and a bit of relief once it has finished! 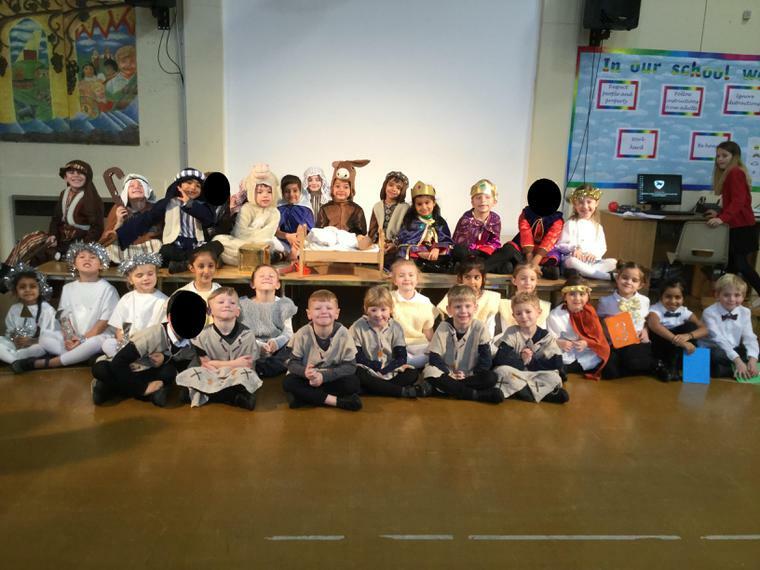 Well done Class 1!! Today we visited St Luke's Church to have a look at all the beautifully decorated Christmas trees. Each tree had been decorated by a different group within the community. Our school also decorated a Christmas tree, so it was really nice to see our own decorations. Today we had a very special delivery!! 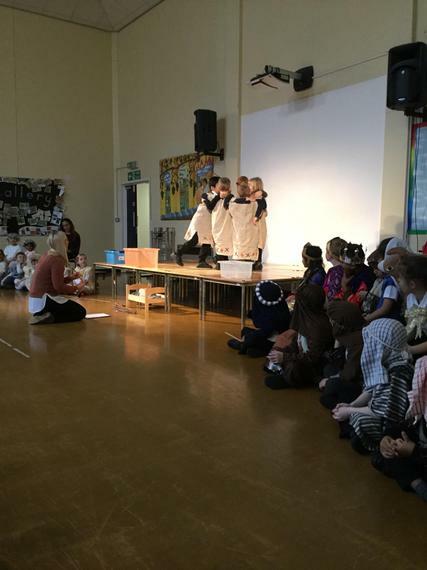 As it is the 1st December, Class 1 had a delivery from the North Pole. 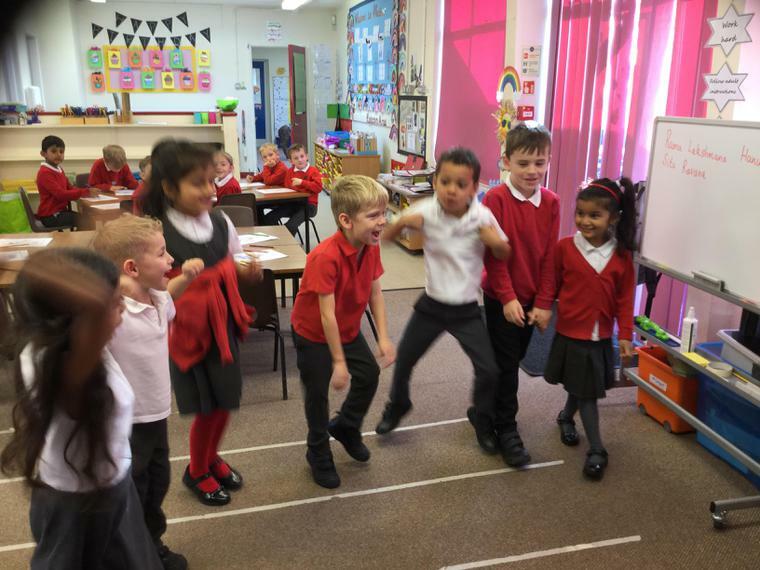 We were all very excited when Mrs Benson brought a huge box into the classroom. 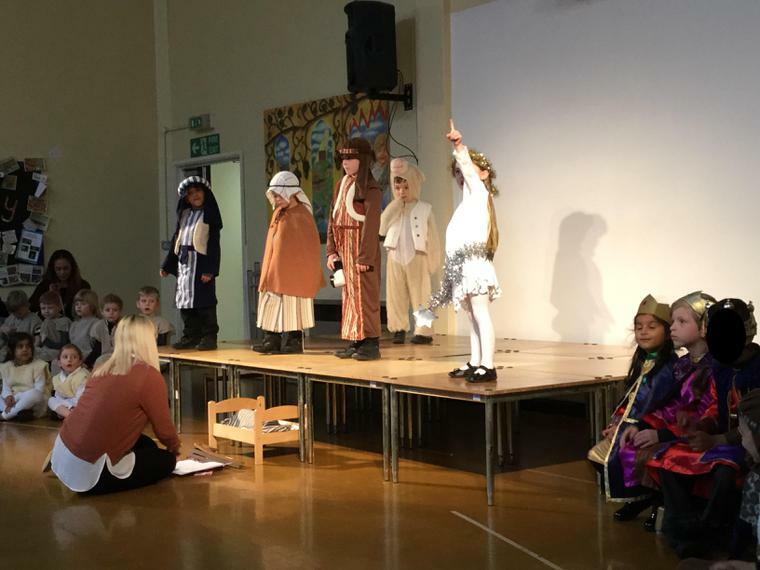 Miss Redden read some 'Elf Mail' which told us that Santa had sent one of his Elf's to watch us for the rest of the month. Santa told us that the Elf will do good things each day and bring us treats if we work very hard. We're looking forward to see what he will do. Today was Children in Need Day. In order to raise money we came into school dressed up as Disney characters. We were all very excited to see each other dressed up. 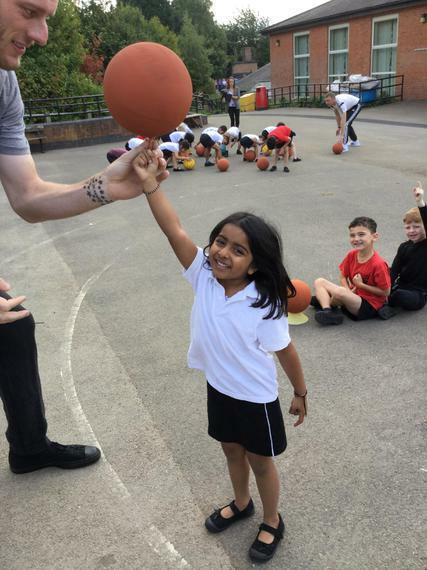 During the day we completed lots of fun activities and thought carefully about children around the world who are in need of help. 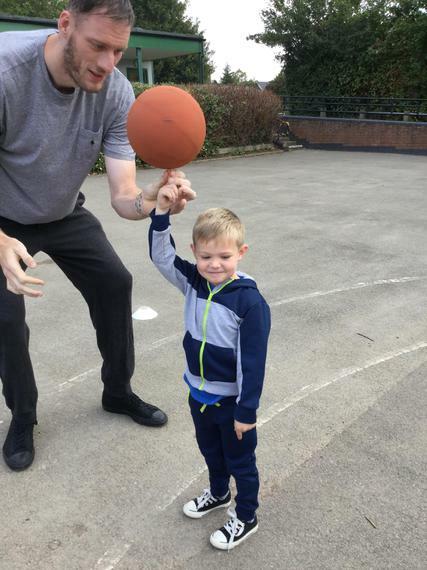 Mrs Benson told us at the end of the day that we had raised lots of money. 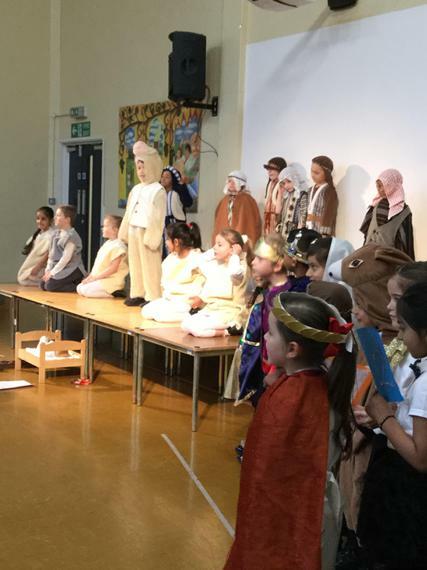 We felt very proud! 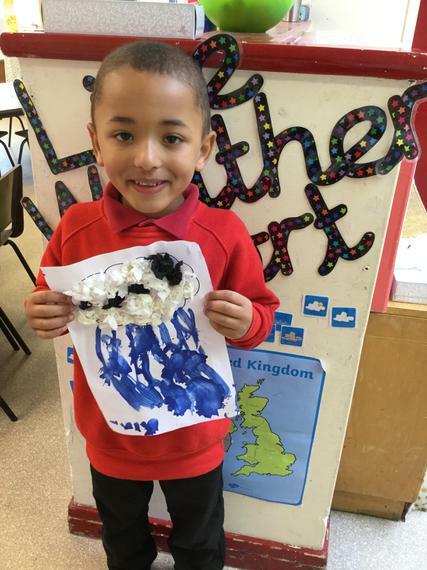 In art today we made a huge class poppy for our school's Remembrance 2 minute silence. 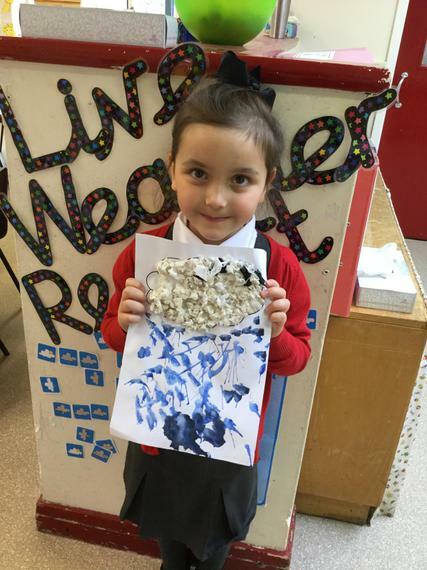 We printed our hands using red paint to make the flower part of the poppy. We then placed them around the middle to create the shape of a big poppy. 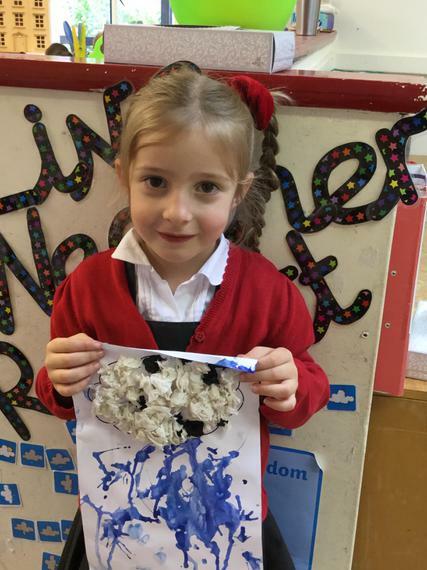 On Friday, the whole of KS1 took part in a 2 minute silence where we placed our remembrance creations for all to see. As part of our topic, this week we have learnt all about Remembrance Day. 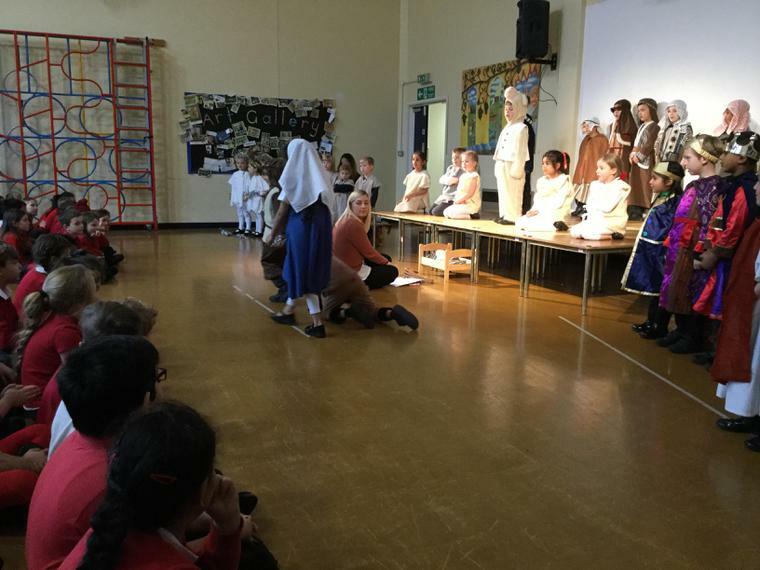 We discovered what happened to the soldiers and nurses during the World War 1. 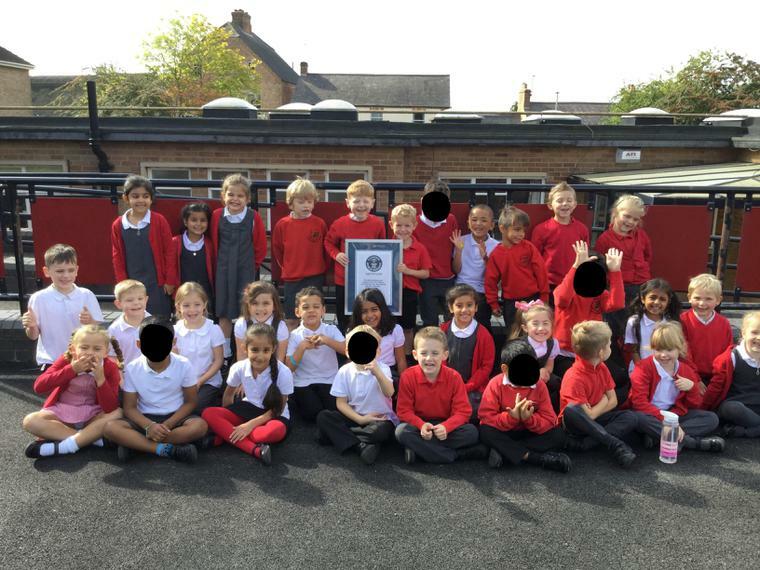 We discussed what we should think about during our 2 minutes silence and thought about the word 'Peace'. 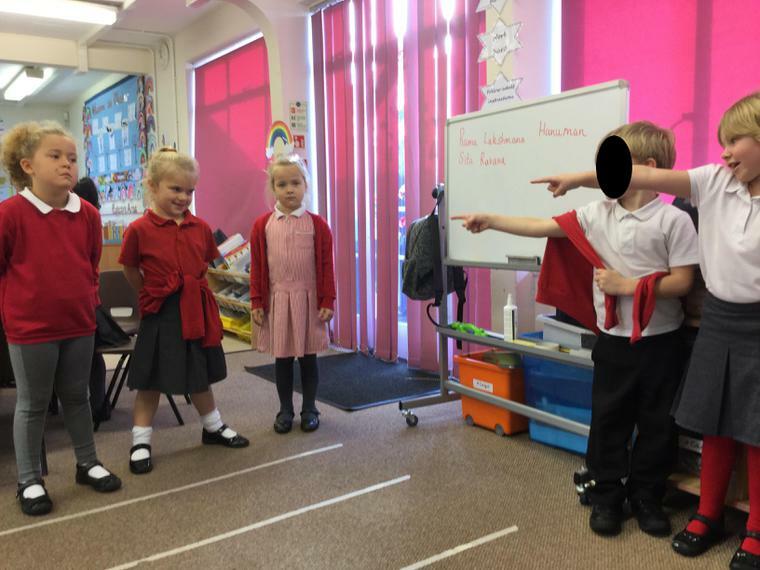 We wanted to know what it felt like for the soldiers in the war so we did some role play where we became the soldiers fighting in the battlefields. Some of our soldiers got injured so the nurses had to take care of them. Then we were so shocked when we found poppies had grown in the battlefields! This week has been a very fun week in English. We have been learning how to write instructions. In order to write those instructions we had to complete the task ourselves. This was 'HOW TO MAKE A JAM SANDWICH'. First we learnt how to make a jam sandwich by following Miss Redden's instructions and then we wrote down the instructions. We loved this and got to take our sandwiches home for tea! This half term our topic has changed to 'Come and Join the Celebrations'. 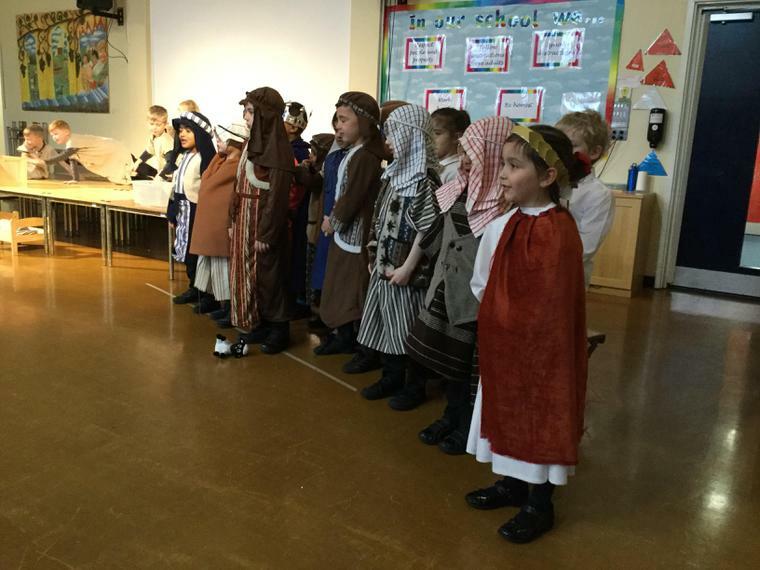 We will be looking at lots of different celebrations. 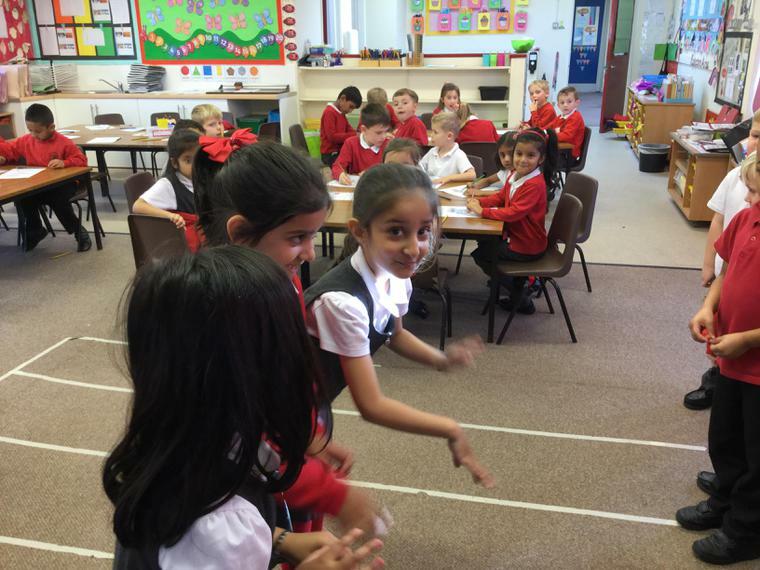 This week we have been focussing on Diwali and we learnt all about the Rama and Sita story. 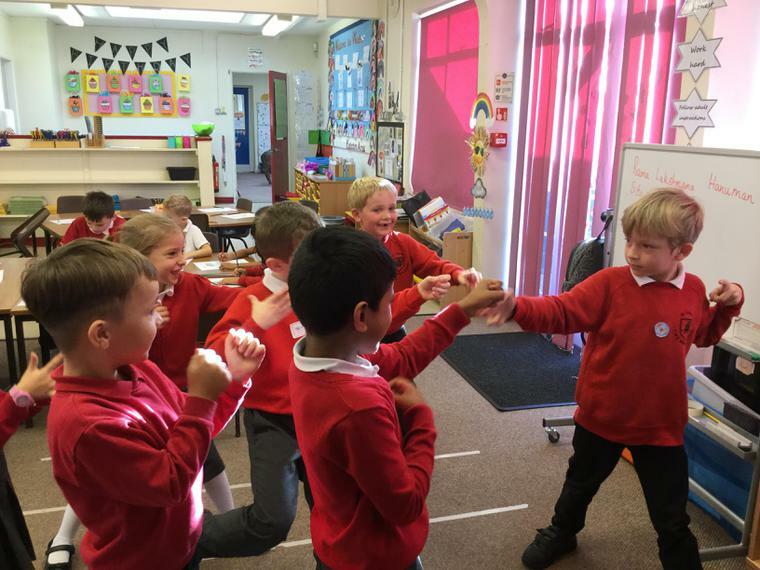 We enjoyed it that much we decided to do some drama of different stages of the story. This is us getting into action. Today in Maths we were focussing on place value. 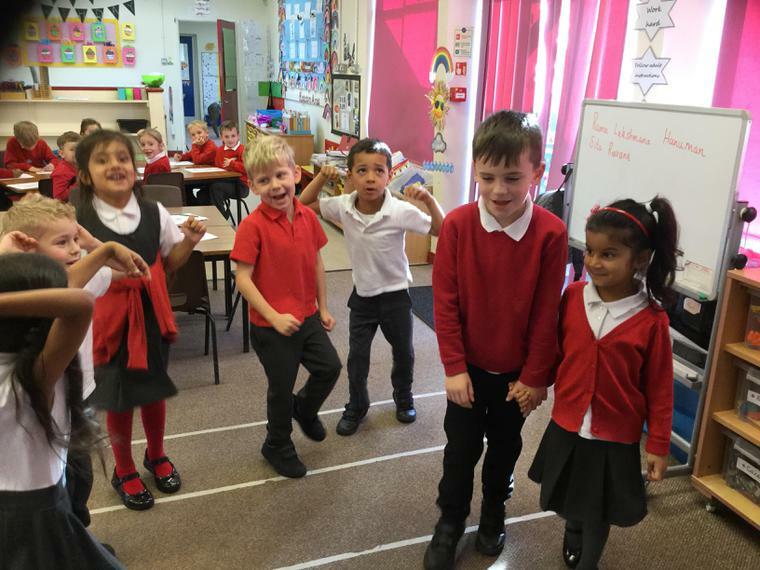 We were investigating different ways to represent numbers. We had to draw it, show it, write it and calculate it. We found this very fun and interesting that a number could be represented in some many different ways! In Art this week we continued working on our collaging skills. 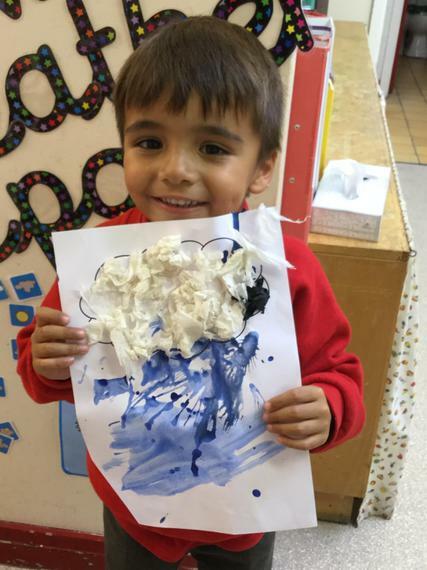 We created a rain cloud and used tissue paper to roll up and form into a cloud. For the rain we tried some blow painting. 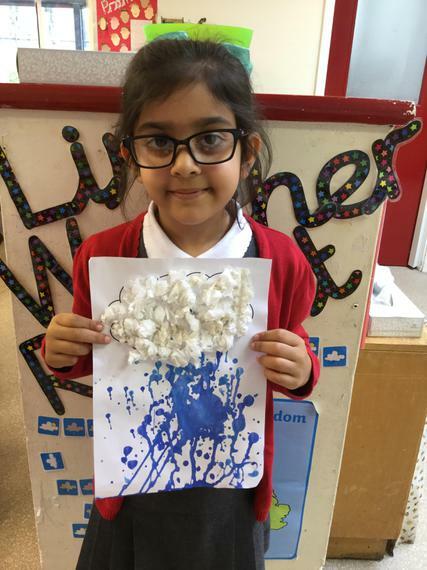 We used some really watery paint and blue through a straw to make the paint run down our page. 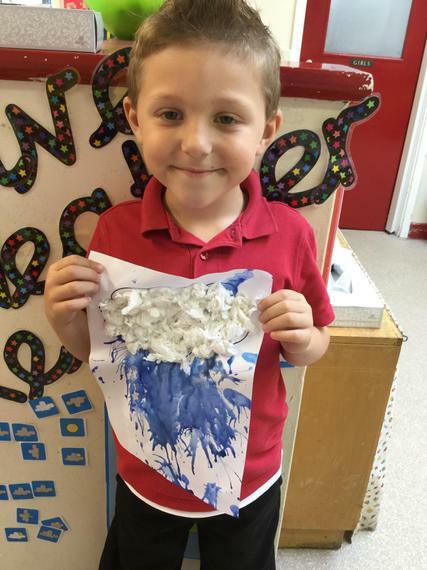 This created the effect of rain, we loved doing this! 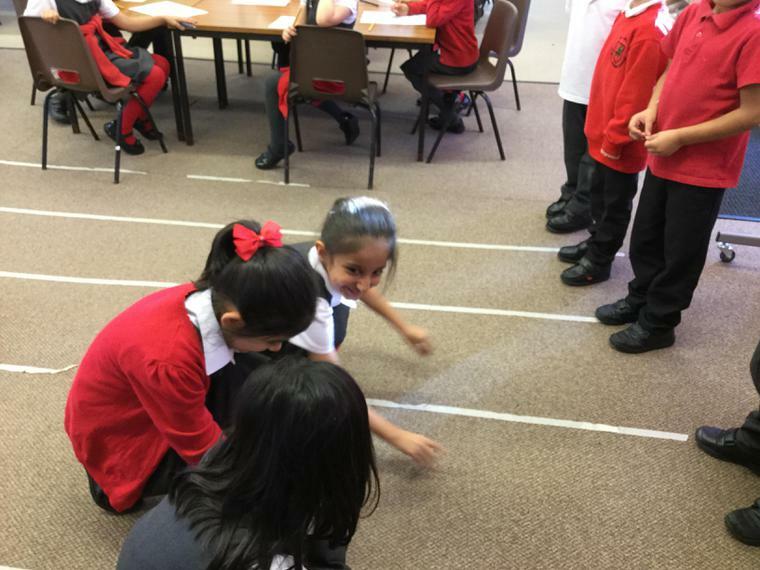 In Maths this week we have been working on subtraction. We challenged our partner with some subtraction number sentences and they had to use beads or multi-link to work out the answer. 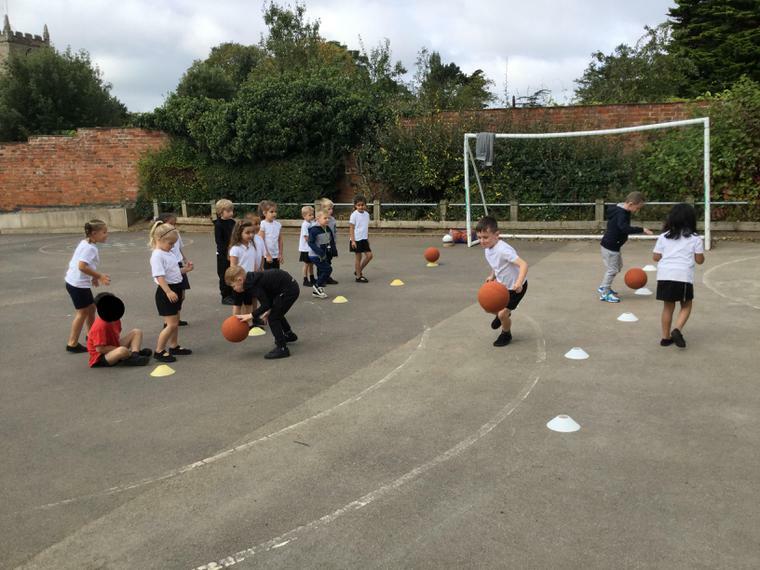 As part of our topic 'Whatever the Weather', we went outside onto the school field to see if we could find Autumn objects. We had a checklist that told us what to look for. We didn't manage to find everything on our checklist but we managed to find brown leaves, orange leaves, berries, pine cones and many other objects. In English today, we started reading our new book 'We're going on a bear hunt'. 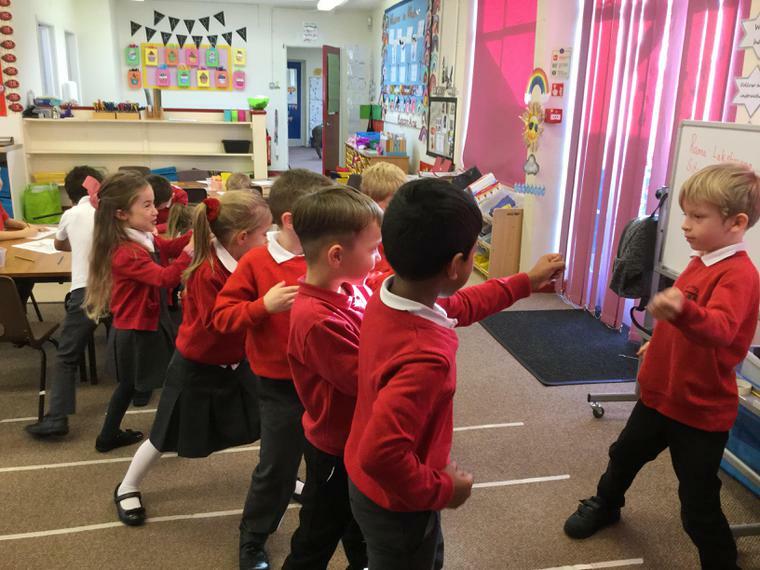 We loved the story so much that we decided to go on our very own bear hunt. We searched the bushed in the playground and found lots of bears hiding. 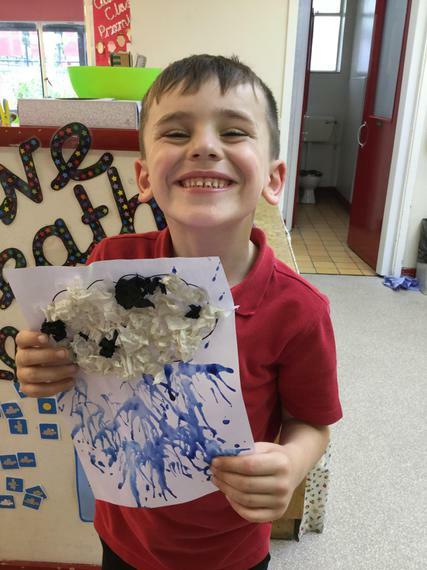 We also did some drama where we swam through the water, walking through the mud, walked through the swishy swashy grass and tried to walk in the heavy snow blizzard! 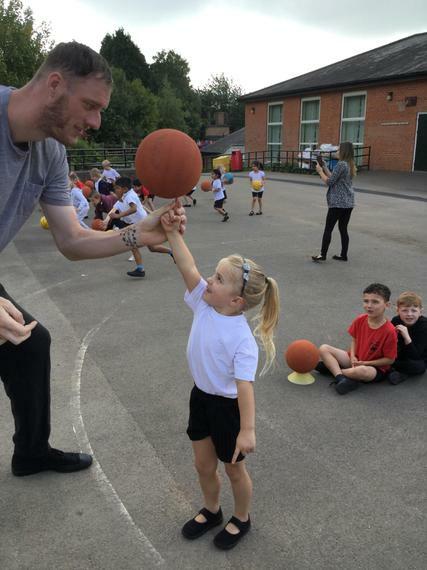 Today we were visited by a Professional Basketball player, Paul Sturgess. 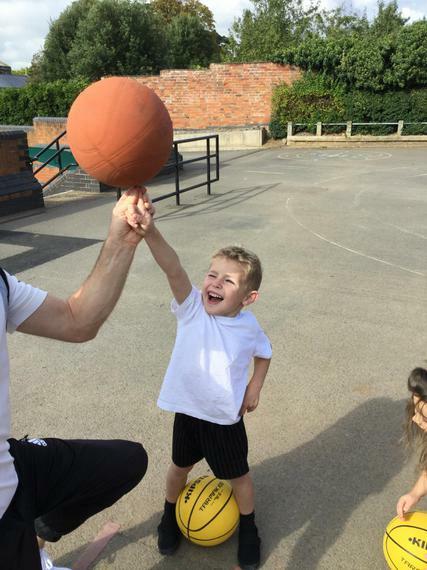 He worked with us to develop our basketball skills. 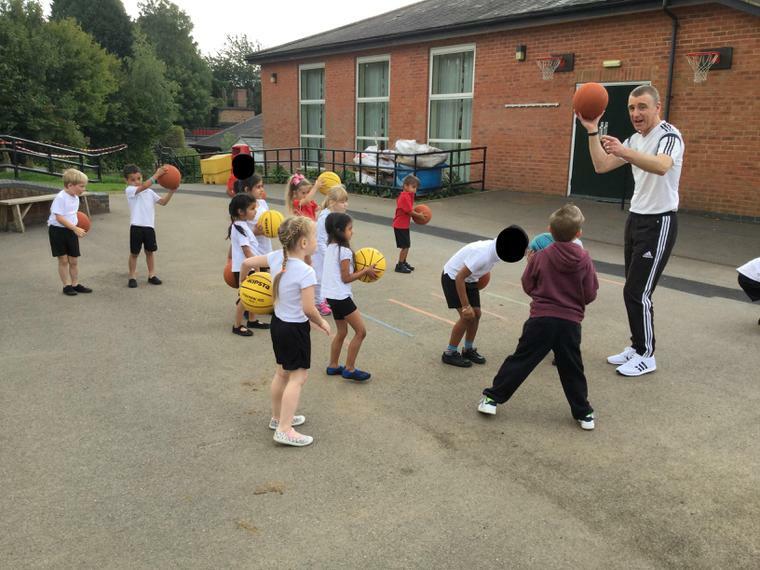 We had a fantastic day meeting Paul and Mark and we loved our PE session. 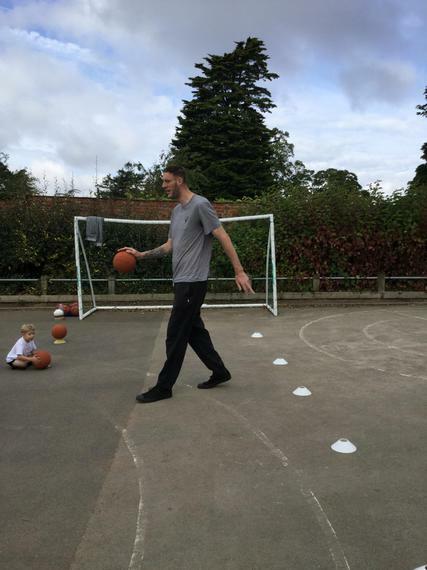 He is even the tallest man in Britain and the World's tallest basketball player. We were very excited! 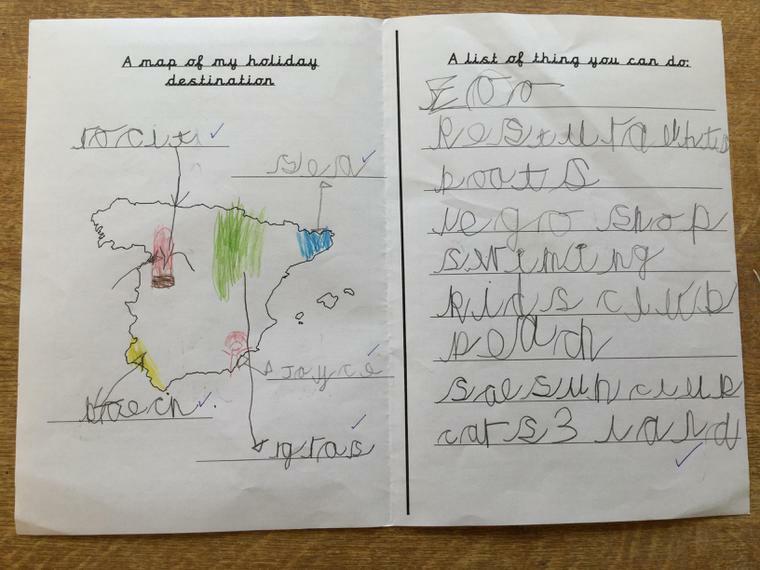 Today we have been creating holiday brochures. 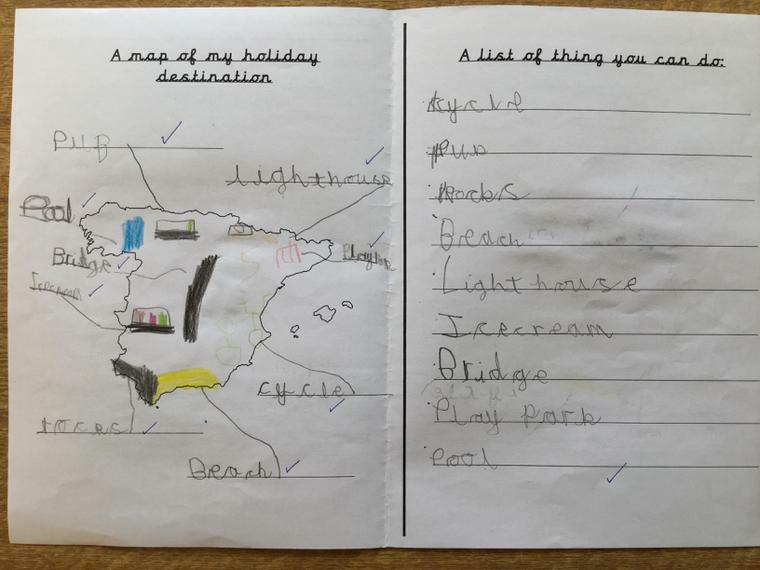 We used all of our skills that we have learnt in English such as labelling a map, creating a list of activities and writing captions for pictures. 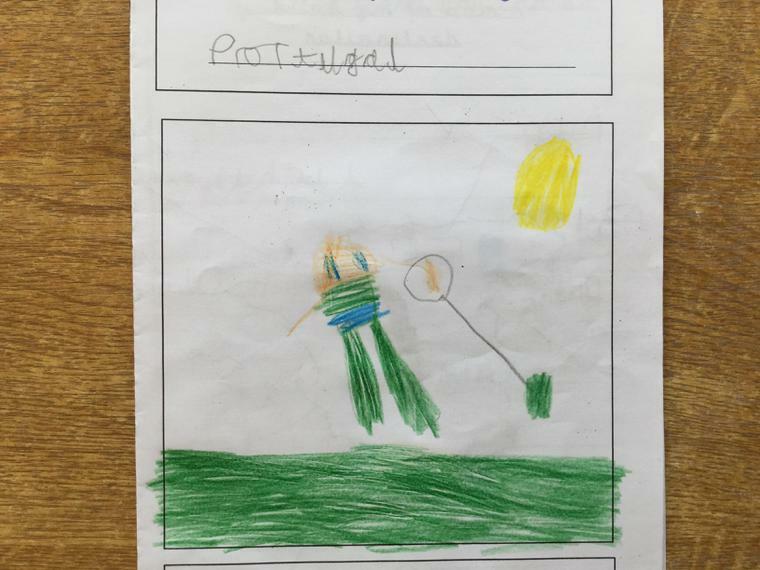 We chose some very interesting holiday destinations like Australia, Morocco, Ibiza, Wales, London and Portugal. 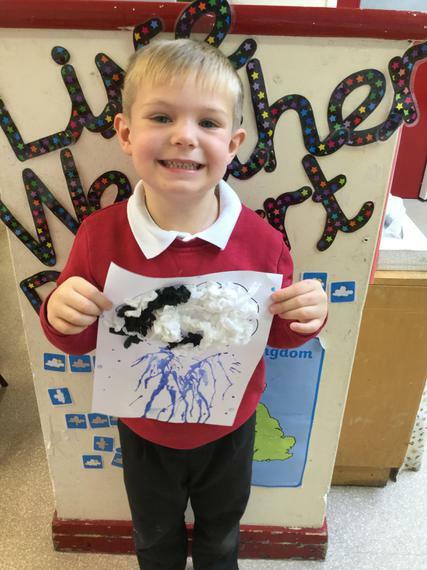 As our topic this half term is 'Whatever the Weather', we have been researching different seasons and types of weather. We have researched a lot about rainbows, so we created a rainbow collage in Art. We had to be very careful with the tissue paper and roll it into small balls. We had to remember to order of the colours correctly so they looked like real rainbows. 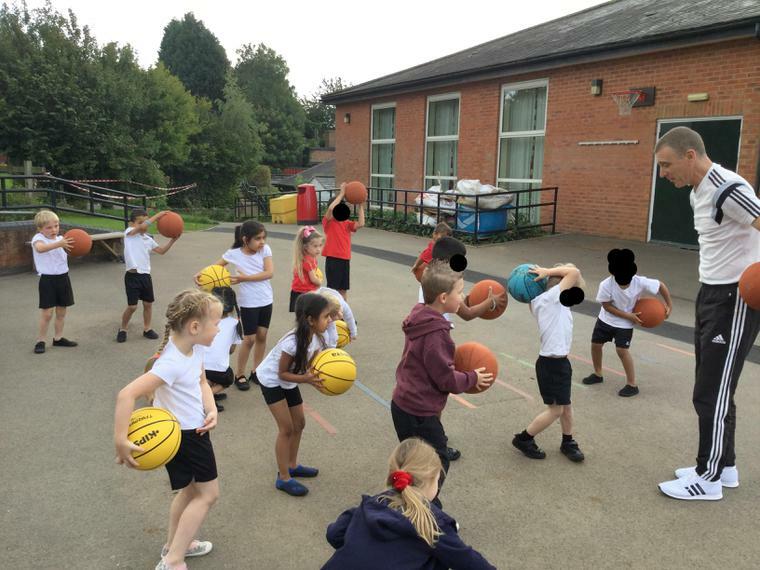 During the first day back after the summer holidays, we discussed what were the right and wrong things to do whilst at school. After discussing lots of ideas, we created our very own class promise. Everyone created their face, which is now displayed in the classroom around our promise, to show that we agree and will try our very best to not break our promise.